No one wants to listen to another person who has a "me too" attitude; you want people to realize that you are adding tremendous value to the conversation, rather than wasting their precious time. 2. Choose your niche wisely. I know that you want to get thousands of new leads each month, but it's not going to happen. You can't be an industry leader in all the industry segments, right? Cause if you'd be able to do that, you wouldn't be a solopreneur. 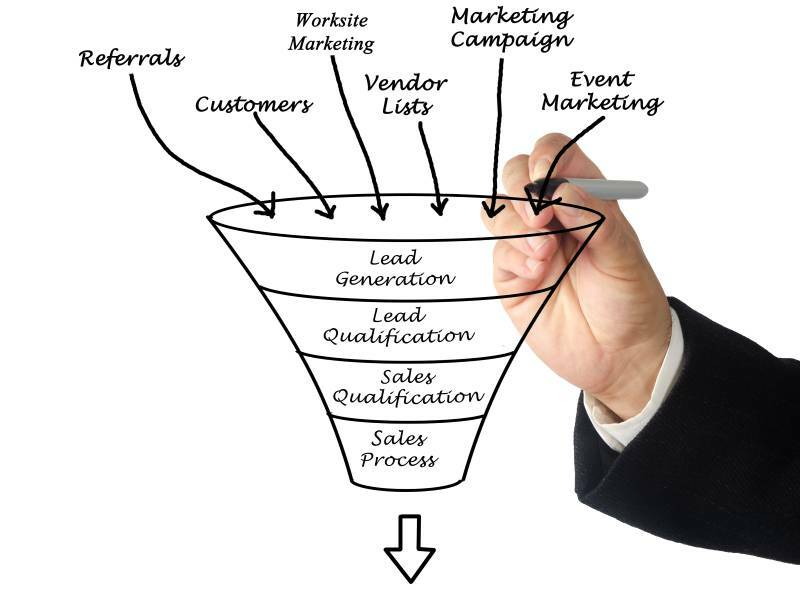 So, build your sales funnel carefully, taking this information into account. This is exactly what I'm doing with this website. I only focus my efforts on solopreneurs, people who have limited time and budgets for social media. I'd love to get clients from huge corporations, of course, but this will not happen because, just like you, I am a solopreneur. I've got much bigger chances to catch smaller fishes in a barrel. Bonus tip: by focusing your efforts on a narrow niche, you will have the chance of getting really good at what you are doing. 3. Don't force people to become your friends or followers. It's surprising, but the law of reciprocity continues to work fine even today. People follow others, and some of the followed ones follow back. This is why some business owners have used (and some continue to use even today!) software tools that automate this process, following and unfollowing people all day long, and thus increasing the number of followers on autopilot. Don't go this route! It's true that you can increase your number of followers this way, but it is also true that you may get your social media accounts banned forever. The ethical way of doing it is to search manually for people who may be interested in your services, and then connect with them. It is true that you won't reach 10,000 followers anytime soon, but those 145 followers you've managed to gather in two months will be highly targeted, and thus very likely to purchase from you if/when the need will arise. 4. Be patient. Social media takes time. If you aren't prepared to invest at least an hour per day posting content and replying to messages, it's best to wait. You can also hire my services, of course. The key to success is to publish fantastic, industry-related content, while building an audience that simply loves that content. 5. Don't stalk the industry influencers. Try to become their friend instead. Be among the first people who comment when they post new content. I'm talking about insightful comments here, of course. Discover what hobbies you've got in common. Then, mention them in some of your comments. Gain their trust, and only after you've done that ask them to share some of your content with their followers. It helps to have amazing content to share, of course. 6. Don't over promote yourself. Nobody loves spammers. Post 10 links to other people's content, and then post a link to your own content. Social media can be an effective lead generation channel, but its main goal is to help people connect - hence the "social" in "social media", get it? So, focus your efforts on creating high quality content, engage with your followers, and the results will surprise you - in a good way! 7. Always be polite. Reply to messages and mentions, even if they come from people you aren't interested in connecting with. Don't forget that since we are talking about social platforms, lots of people are listening to everything that's being said - especially your potential customers. These are the main social media rules that you should obey. Just like in real life, people will want to hang out with polite persons. Fortunately, it is easy to make a good impression using social media. Good luck!